Hello Everyone! 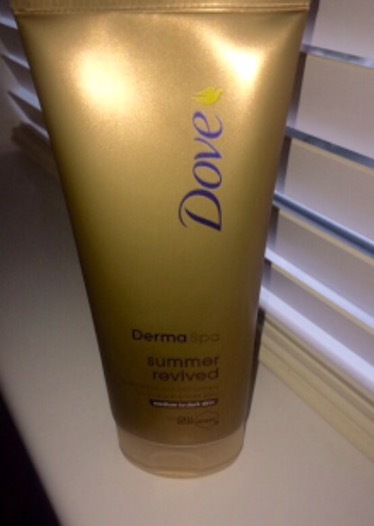 !I recently picked up the Dove Derma Spa Summer Revived Body Lotion to get myself in the summer mood with a nice summer glow and I have to say I am loving it. I have always used the Dove Summer Glow Nourishing Lotion which has a gradual tanner in it and works wonders to give you a fresh sun-kissed look without any hassle. As far as I know the dove Derma spa is basically the same as the summer glow just with new packaging which is fab I think the gold packaging really gives it a spa look to it and makes it look fancier. 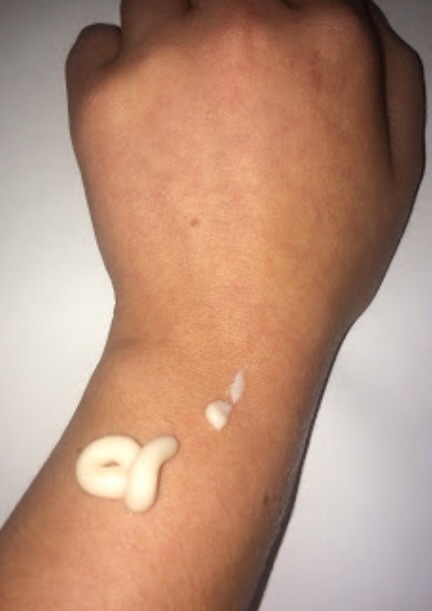 I’ve been using it for quite a while now and I see no difference between them maybe just the smell of the lotion is a bit different. 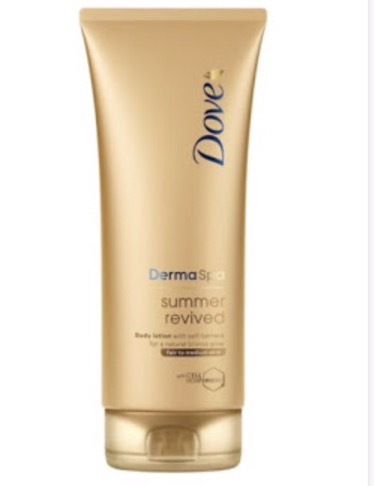 For those of you who may not know Summer Revived is Dove’s first spa-like body lotion combining natural, gentle tanners with Surface Cell-Moisturisers. This self-tanning lotion treats you with a daily dose of summer for a healthy-looking bronze glow. Its available for light to medium skin and also in medium to dark skin which is the one I use as I find it works best for me. I use this product after every time I shower, applying onto clean, towel dried skin. Self tanners can be tricky for fair skin types, so it’s really great the fact they created two versions of Derma spa; one for light-to-medium skin types and one for medium-to-dark skin so you can slowly build up your tan. I like that this version now comes in a squeeze tube instead of the shampoo-type of bottle it used to be in(summer glow). It makes applying the product in my option a lot easier as it’s easier to get it out of the bottle and control the amount your using.Even though summer only comes once a year, this is the perfect self tanner to prolong that sun kissed skin and have a summer glow all year round. This product retails at €9.99 and is available at Boots and other phamacies and supermarkets nation wide. The Dove line is a nice panoply of products.